Eating fat has had a bad reputation for a long time. People believe that if they eat fat, they will get fat. Ironically, in America, where low fat diets rule, the average belly size is bigger than other countries. Eating fat can actually help make you thin. I eat plenty of fat. The difference between the fat I mostly I eat, and the fat most people eat, is that mine comes from what are considered "good fats". Good fats, a.k.a EFA's (Essential Fatty Acids) are necessary fats that your body can not produce. You need to get your EFA's through your diet. Yet, most people are not doing so and they're missing out on the health and fitness benefits. 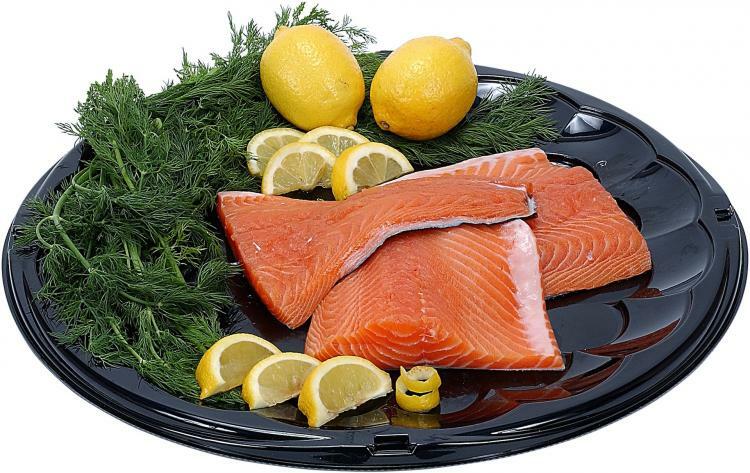 I've found that a good way to get in EFA's or good fat in your diet, is through eating fish. You kill two birds with one stone by eating fish. You get your EFA's, but you also get in a good amount of protein. All good news when you're trying to get fit, burn fat and lose that unwanted weight. There is a problem though with getting your EFA's solely through fish. I will go into that as well as other good sources of EFA's and more on the health benefits in part 2. You are so right! Too many people just try to lose weight by cutting fat out of their diet altogether. Hopefully more people will research good vs bad fats before doing so! Eat fat, lose weight is only available for download Barry Groves of England. I bought him a load of about $ 10. This is very useful piece of information posted on this blog. I use to think that by eating fat we put on weight but now I will recommend this blog to all my friends. The plan does not allow small amounts of sugar and refined carbohydrates. Some of the recipes Eat Fat, Get Thin are also made with sugar. Therefore, this plan is not suitable for those who have a strong dependence on carbohydrates. We've all been told that eating fat makes you fat. But new Australian science is finding it is not that simple. It may be that you can make yourself thinner by eating more of a fat called Omega 3.